Take your time on a 5-day tour of Spain that guides you round Andalusia’s most famous cities: Seville, Cordoba, Toledo and Granada. Visit the birthplace of flamenco in Seville, see the home city of El Greco in Toledo and be amazed by the Moorish gardens of the Alhambra. You’ll also see Spain’s oldest bullring in Ronda on this five days in Spain itinerary, and soak up the beauty of Spain’s resort coast, the Costa del Sol. 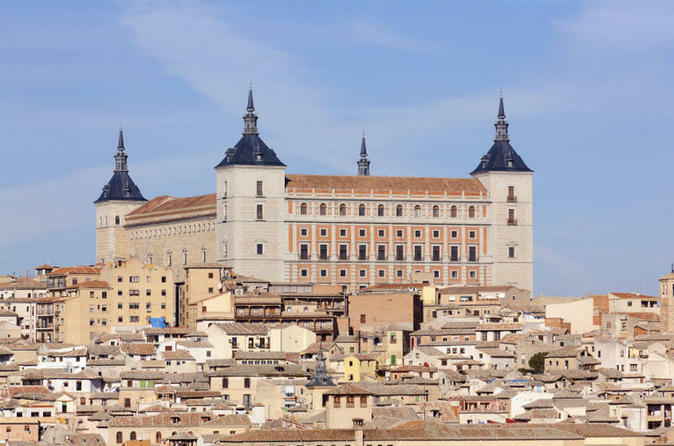 Highlighting the UNESCO World Heritage sites of Cordoba, Seville, Granada and Toledo, this tour takes you deep into the heart of Andalusia, Spain’s most colorful and distinctive region. Dinner and breakfast are included, and enjoy a choice of standard or superior hotel accommodation for all four nights. Upgrade your experience and enjoy a 6-day tour in which you will be visiting the amazing city of Caceres on the first day, followed by a stop and a night's accommodation at the Moorish city of Cordoba. Visit Andalusia's most popular sights in Seville, Cordoba, Toledo and Granada on this 5-day Andalusian excursion. Stay in a standard- or superior-grade hotel in Seville, the Costa del Sol and Granada, and take guided tours of the fabled cities of Seville, Cordoba, Toledo and Granada. See the Itinerary below for details on each day of the tour. Please note that the visit to the Alhambra is dependent on availability.